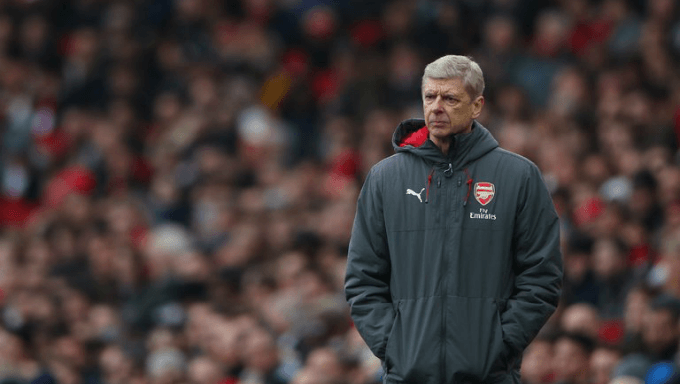 Betting Tips: Who Will Replace Wenger as Arsenal Manager? After 22 years at the helm, Arsene Wenger will step down as Arsenal manager at the end of the 2017/18 campaign. The Frenchman may not have been able to maintain the tremendous success he enjoyed in the first half of his tenure in north London, but he will walk away with his head held high after winning three Premier League titles and a remarkable seven FA Cups. He also helped to revolutionise the English game in the 1990s, introducing significant changes to training methods, diet, preparation and recovery which soon became commonplace throughout the country. Some Gunners fans have been calling for Wenger’s exit for a number of years now, but all those who follow the club will now be united in their determination to give the 68-year-old the send-off he deserves. In the meantime, speculation will rage about who is likely to replace Wenger in the Emirates Stadium hot seat. Football betting fans should ask themselves what Arsenal will be looking for in their next manager. Do they want an experienced hand who can stabilise the club during a transition period which has the potential to be turbulent? Or do they want a younger boss who is hungry to prove himself and can bring new ideas to the table? Do they want an individual who will continue the style of play practised under Wenger? Or do they want to provide a shock to the system by employing a coach whose philosophy is very different to that of his predecessor? All of those questions remain unanswered and that uncertainty is reflected in the betting markets, which offer odds on a whole variety of different contenders. Former Barcelona boss Luis Enrique, is the current favourite at 3/1 with 888sport and there are certainly numerous reasons why that would be a good fit. The former midfielder won the Champions League at the Camp Nou and helped to bring out the best in Lionel Messi, Luis Suarez and Neymar, who formed one of the most fearsome front threes in the history of the game. Yet having won Europe’s foremost tournament as recently as 2015, Luis Enrique may not be content to settle for a team who will probably not be competing in the Champions League next term. Carlo Ancelotti, currently odds of 5/1 with Ladbrokes for the job, is a three-time European champion, triumphing twice with Milan and once with Real Madrid. The Italian has been out of work since leaving Bayern Munich earlier this season and would perhaps be open to a move to the Emirates, having already previously managed the three aforementioned sides as well as Paris Saint-Germain, Chelsea and Juventus. Ancelotti is a safe pair of hands and would help to stabilise Arsenal, but the club’s hierarchy may prefer a younger coach with fresher ideas. The Premier League experience of former Liverpool honcho Brendan Rodgers (5/1 with 888sport) could appeal to the board. The Northern Irishman has done a good job at Celtic too, and his previous work at Anfield has always been a little underappreciated. Supporters may not be overly happy with the 45-year-old, however, and that could be a factor given the degree of fan discontent in recent times. Two interesting names in the frame are Mikel Arteta (20/1 with Ladbrokes) and Patrick Vieira (8/1 with Ladbrokes), both former Arsenal captains. The former has been working as part of Pep Guardiola’s coaching staff at Manchester City this season, while the latter is cutting his teeth with New York City in MLS. Their knowledge of the club would make them popular appointments with those on the terraces, but a lack of experience may ultimately lead to them being overlooked. It would be advisable to steer clear of Max Allegri (7/1 with 888sport), Thomas Tuchel (10/1 with Ladbrokes) and Joachim Low (6/1 with 888sport): Allegri looks set to extend his stay at Juventus, Tuchel is reportedly on the verge of joining PSG and Low is contacted with the Germany national team until 2020. There is a chance that he could move on if die Mannschaft triumph at the World Cup this summer, but Arsenal will want to have a manager in place long before the conclusion of the tournament in Russia. Perhaps, then, the smart money for bettors at this stage is on Leonardo Jardim who is 14/1 at some of the top football betting sites. The Portuguese has done a fine job at Monaco, winning the Ligue 1 title and reaching the Champions League last term, and has continually demonstrated a willingness to give young players a chance. He would surely jump at the chance to join Arsenal, who would be wise to give the ex-Sporting CP chief serious consideration.